This is a very artistic piece, kind of reminding me of the mad hatter. 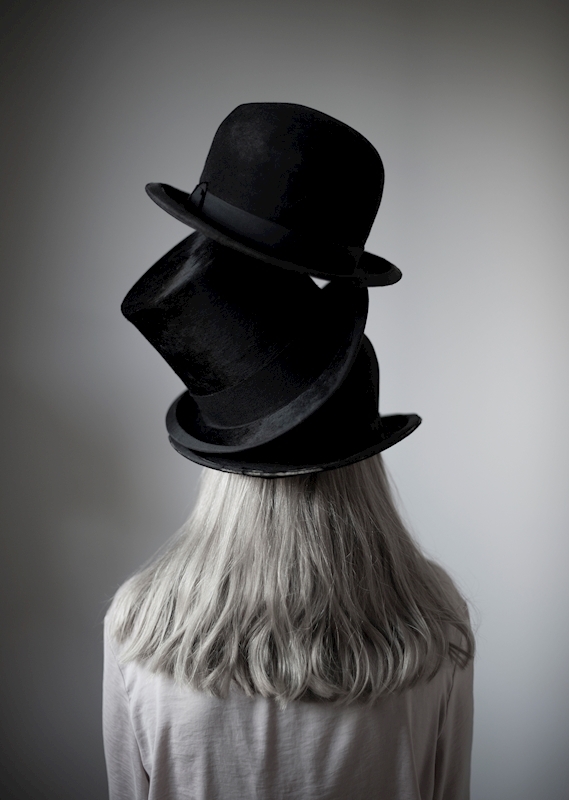 It is the mad way of playing with the hats in the picture that makes this such an interesting picture. It would fit great in a living room or bedroom.